After finding the Beauty Blender, I swore I would never use a brush to apply foundation again. Temptation crept in as I saw Artis Brushes all over social media and Youtube, Hello October's video being the main enabler. 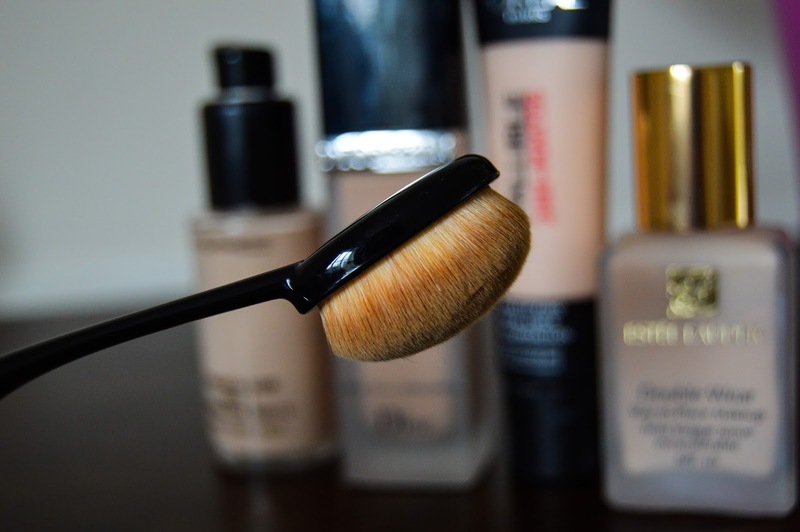 I researched Artis Brushes and decided that the £45 price tag wasn't justifiable, so I started looking for affordable dupes and came across this one - Pro Oval Makeup Liquid Foundation Paddle Brush. The best way to describe this brush's shape, is like a big toothbrush. It has an oval shaped head with densly packed bristles. From watching tutorials on Youtube, I found the best way to apply foundation using this brush is to dot the product onto your face and use sweeping buffing motions to spread the foundation evenly. 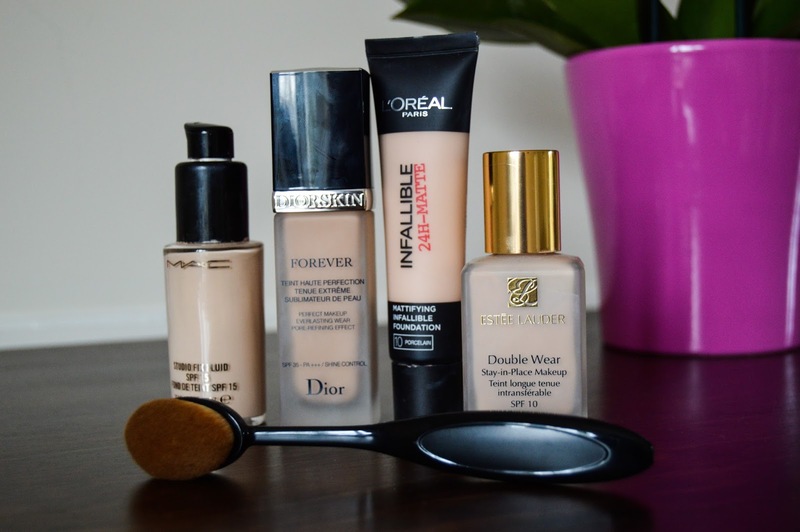 I tried the oval brush with my L'Oreal Infallible foundation firstly, but also tried it with my Dior Forever foundation. It's hard to get used to the motion of sweeping rather than going in circular motions but it did seem to distrupute the product well. 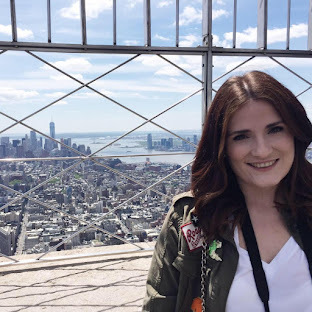 One thing I would say is that I don't think it applied my foundation as seamlessly, I felt I had to go over the product with a damp Beauty Blender to finish it properly. I wouldn't choose this over my Beauty Blender for foundation but I'm keeping it in my stash to use for cream highlight and contour. Have you tried the Artis brushes or any dupes? I've seen so many people rave about these style of brushes but I think I'd find them really hard to get used to! These brushes look really hard to get used to, but such a great dupe!